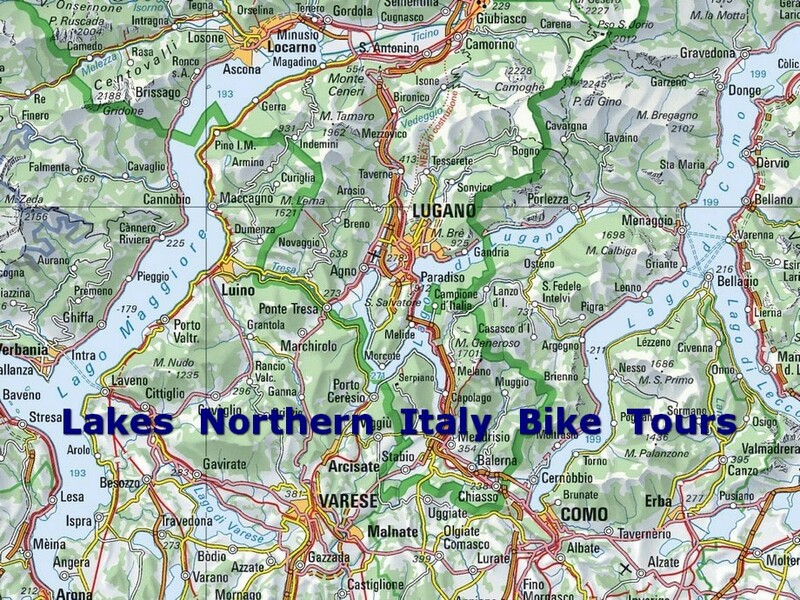 Here you can find a detailed digital map of Northern Italian Lakes (7MB): Lakes Maggiore, Lake Lugano, Lake Varese and Lake Como. The map is large (29cm x 42cm – 11,41in x 16,53in) and quite detailed. We believe the details of the a map are important enough to justify the size (7MB). You can upload it onto your smartphone, so you can use it off-line for crossing the area by bike or by car. The Northern Italian Lake District stretches across Northern Italy. The land around the southern ends of the glacial lakes is relatively flat, but the northern ends are hilly and mountainous, as the glacial lakes reach deep into the Swiss-Italian Pre-Alps. To help you make the most of your stay on Northern Italian Lakes we have put together a guide, packed full of information about all the tourist attractions to see during your holiday.